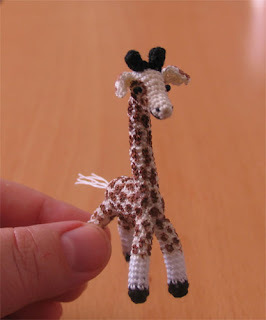 Have you ever try to create a giraffe? 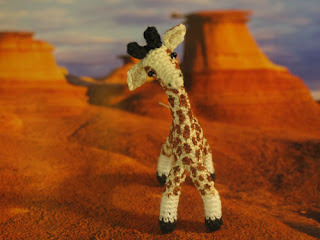 If so, you know that it's not so easy, because it has some special details which consider it as real giraffe. 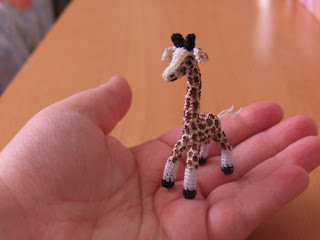 One of my friend ask me to crochet for her giraffe a while ago. I do love challenges so I agreed and begin to think how to do it? After a few months I decided that the time is now. 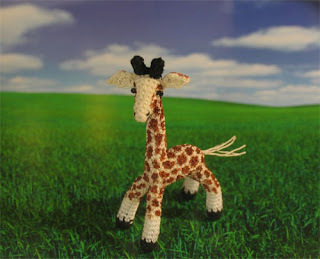 So, please, meet the Little Giraffe. He still hasn't the name as I decided this time that his future owner have to name him. 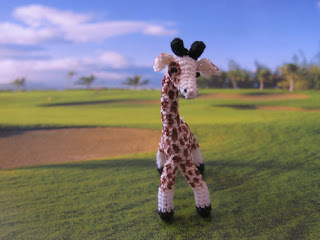 So, just a Giraffe for a while. 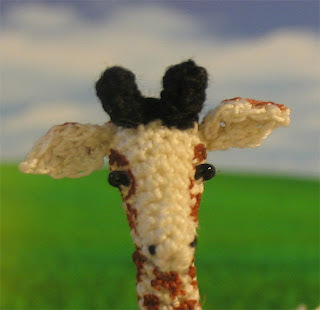 I crocheted him from 3 colors of cotton thread, then painted spots with acrylic. I love this little guy! My daughter is a huge giraffe fan. 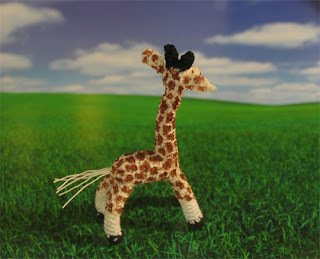 I think I am going to have to make her a giraffe like yours only bigger (she is almost one). Fantastic job! Thank you, Haley, for nice comment! 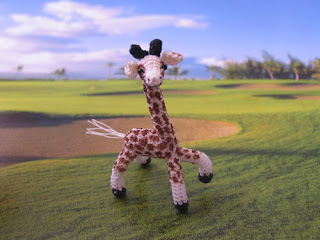 Hope you was already finished successfully your bigger size giraffe for your daughter!